Home Blog Shhhh..Listen! Do You Hear the Sound of London Fashion Week Festival? The venue attracts more than 5, 000 medias and pushes buyers and it has estimated orders between £40 million to £100 million. The London Fashion Week Festival is one event that no one wants to miss when visiting the county. UK Tour Center has all the information available for you if have missed it in February 2017. London Fashion Week Festival is a one of the “Big Four” fashion shows, along with New York Milan and Paris. The show, host through over 150 worldwide and British brand names. The venue attracts more than 5, 000 medias and pushes buyers and it has estimated orders between £40 million to £100 million. Later on and at the same venue the retail -focused show takes place immediately and it is open to the general public. Catwalk Action at the London Fashion Week Festival. You may think the fashion week festival in London is only for the trend industry! Wrong! times have changed and this prestigious event has loads of catwalk action to get you involved. There are top events you do not want to miss. This year’s event packed with action and for those that could not make the show in February watched it in the comfort of their home. There are loads you can expect when visiting the London Fashion Week Festival from what you can wear the next season to important designs to invest. The BFC (British Fashion Council) is the organiser of this tremendous event and hosted this year’s fashion week at the Store Studios, in central London. The festivals not only dedicated to a weekend anymore and hosted over a 10-day period for all to enjoy. Events take place all around the city, allowing shoppers access to the designers that sway you with their stunning clothing pieces. Different stores host ticket events, this year The Store Studios, in central London hosted pop-up shops from over 150 British and international brands. This occurrence displays high-end designers and high-street retailers presenting you with groundbreaking ways to get you more involved. The event took place from the 17th to the 21st February and packed with weeklong happenings and shows. The next fashion highlight takes place during the 9th – 12th of June 2017 hosting the London Fashion Week Men’s show and 15 – 19 September 2017 the London Fashion Week Spring/Summer 2018 event. Where is the Fashion Week Hosted? As you can see when visiting the show, you will not only view amazing fashion you are in some of the best tourist attraction places in London. View the exhibition on a giant screen, visit workshops, and enjoy a beauty treatment and demos available from top brands. Previous articleDid you know all the secrets of tower of London? if not read this. 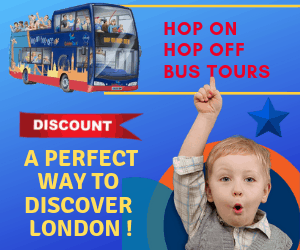 Next articleDay Out with Kids in London Zoo- info and Directions.